Scientists claim a 'potentially game-changing' chemotherapy drug could help men with advanced prostate cancer live for longer. Early use of docetaxel can help prolong patients' lives to 65 months from the current 43, according to major new research into 2,962 British and Swiss men. It is usually only prescribed late in the illness when hormone treatments have not worked. But experts have called for it be introduced at an earlier stage. Volunteers were offered six docetaxel doses at the beginning of their medical care. Those whose prostate cancer had dispersed past their pelvis experienced the best results, seeing their life expectancy rise by 22 months. This figure overall saw patients living an average of 10 months more than usual. People living with the disease can arrange specialist cancer travel insurance when travelling abroad. This can insure medical expenses from between £1 million and £10 million for peace of mind. Co-researcher Nicholas James, from Warwick University, wants every prostate cancer patient whose disease has spread to be treated with the drug as soon as possible after they have been diagnosed. Cancer Research UK's officials also urged authorities to prescribe the drug sooner in men's treatment. R esearch director Iain Frame called the results "potentially game-changing". 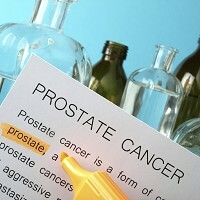 The new findings are to be viewed by the American Society of Clinical Oncology.